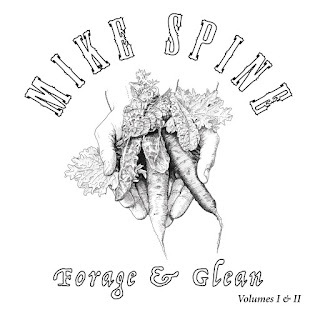 Global folk-punk troubadour Mike Spine shares poignant anthem for the times, "Crumble"
Mike Spine is a critically acclaimed Seattle born and Seattle/Europe based musician known for his captivating live performances, intelligent songwriting and support of humanitarian issues. He has played hundreds of shows in five continents since 1995 and has received press and radio airplay throughout the US, Europe, UK and Asia. 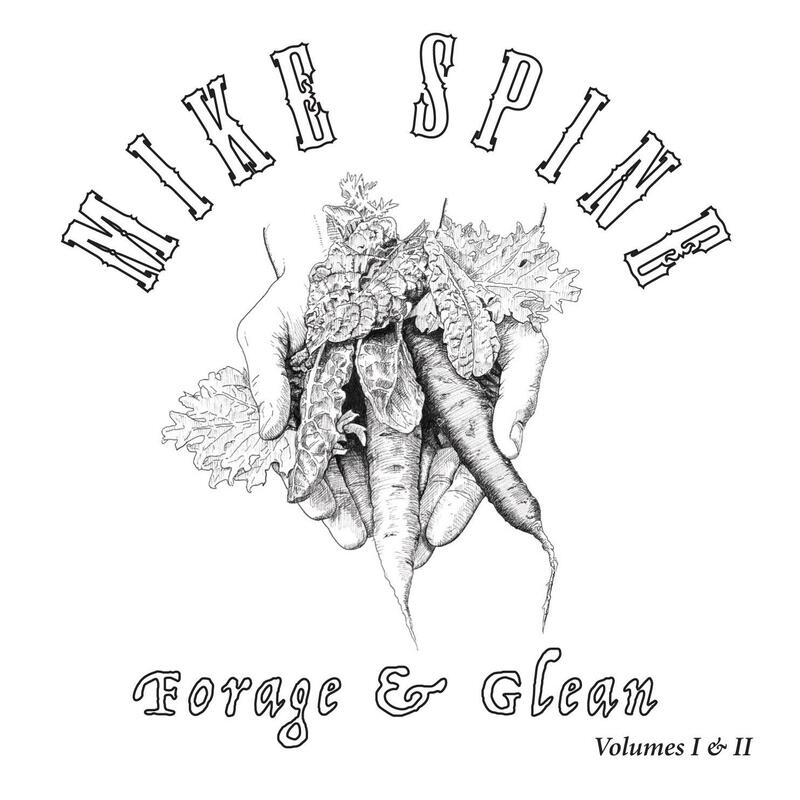 Forage & Glean, Volumes I & II, is the 10th full-length studio album for Mike Spine. It is a 32 track double album, an anthology containing the best of Mike's songwriting and recordings from the last two decades. Volume I is a collection of Spine's best work of folk rock and rock songs, including the memorable and more relevant than ever "Crumble", personal political songs such as "Meteorite", and the labor themed "Sand in Your Teeth". There's also a hauntingly beautiful version of "The French Girl" and the stripped down "Black Diamond", the lyrically dense and moving tale of families immigrating to work in the coalmines outside Seattle in the early 1900's. Volume II contains Spine's more explosive rock and punk material. It opens with the dynamic anti-war song "Kiss and Remember" and then launches into fiery, complex and catchy rockers, which touch on the themes of global warming with "Second Hand", empire "Transylvania" and the anti-corruption song, "Power Broker", before transitioning into the hook filled songs like "Iron Lake" hybrid country punk song "Another Day" and the rocker version of "Meteorite". 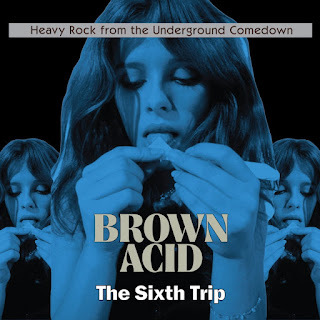 For twenty years, Mike Spine bounced between the worlds of folk rock, underground rock and punk, while simultaneously working as an inner city language arts and social studies teacher in Seattle, Portland, New York and London. Since retiring from public school teaching in 2011, Mike has spent his time focused on music, having performed hundreds of concerts and benefit shows in multiple continents, ranging from Italy to Vietnam, Cambodia and Costa Rica. The last few years he has split his time between the US and Europe, touring extensively throughout the EU and often living out of a motorhome for months at a time. 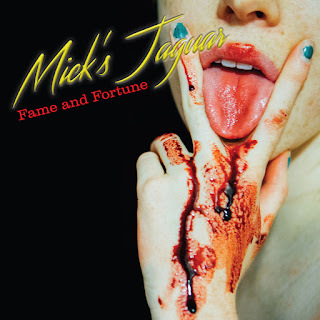 The songs on Forage & Glean were predominantly recorded and mixed at Haywire Recording in Portland, Oregon with longtime engineer Rob Bartleson (Wilco, Pink Martini, Pond, etc.). The album was mastered by Ed Brooks (Pearl Jam, REM, Heart, Fleet Foxes, etc.) at RFI/Resonant in Seattle, Washington. The recordings were made with a highly talented pool of band mates from the United States, Europe and South America over the last decade. 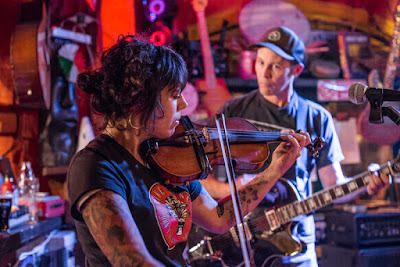 Core musicians on Volume I include Joey Prude and Chris Croft on Drums, Martin Flores on guitars, Katie Toft and Ali Ippolito on piano, accordion and backing vocals, Amelia Claire on backing vocals, Robert Bartleson on electric bass, Brian Casey on upright bass, Barbara Luna on violin and Mike Spine on guitars, vocals, songwriting, arrangements, etc. Core musicians on Volume II include: Jeff Gall and Chris Croft on drums, Martin Flores on guitars, Richie Parish on guitar and bass, Jack Peters on bass, Amelia Claire on backing vocals and Mike Spine on guitars, vocals, etc. Forage & Glean, Volumes I & II will be available on CD and download on June 1st, 2018. Pre-orders are available HERE. Portland, OR 'Street Doom' quartet R.I.P. support British heavyweights Electric Wizard on West Coast dates starting this week. And, the band announces its first full U.S. headlining tour to kick off on May 31st. Please see complete dates below. Tour poster available HERE. R.I.P. 's sophomore album Street Reaper is available to hear and share via YouTube and Bandcamp. When R.I.P. came crawling out of the sewers of Portland, OR last year, their grimy, sleazy Street Doom was already a fully formed monstrosity that quickly infected the minds of everyone it encountered. Now, borne from the band's declining state of mental health and increasing focus on songwriting, Street Reaper is an even more unhinged and menacing album than their 2016 debut In The Wind. 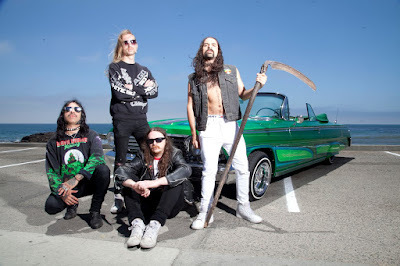 Borrowing equally from 80s Rick Rubin productions and Murder Dog magazine aesthetics, Street Reaper is a streamlined, yet brutally raw manifesto of heavy metal ferocity hearkening to the era when both metal and hip hop were reviled as the work of street thugs intent on destroying America's youth. Throughout, Angel Martinez's guitar and John Mullett's bass are inextricably interlocked, sounding like a massive sonic steamroller, while drummer Willie D keeps the beat solid and simple for the most powerful impact. 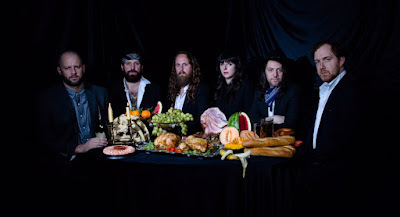 And, the band's extensive touring and excessive virgin sacrifices have clearly endued singer Fuzz with evermore agile vocal chords to drive it all home with extreme precision. 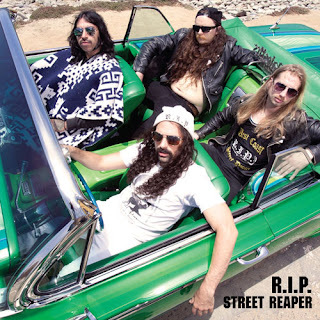 Street Reaper opens with the knockout punch of "Unmarked Grave" and the rest is just sheer bludgeoning for bludgeoning's sake as the album echoes the grimy vibe of legends like Saint Vitus, Pentagram and Motorhead, with the no b.s. aesthetic of the early Metal Massacre compilations. Street Reaper is available on LP, CD and download, released October 13th, 2017 via RidingEasy Records. The band previously launched the first single "Blood On The Snow" via YouTube. Austin trio The Well announce summer headlining North American tour dates today and premiere the official video for "Black Eyed Gods" today via Revolver Magazine. Watch & share "Black Eyed Gods" HERE. (Direct YouTube.) See dates below. 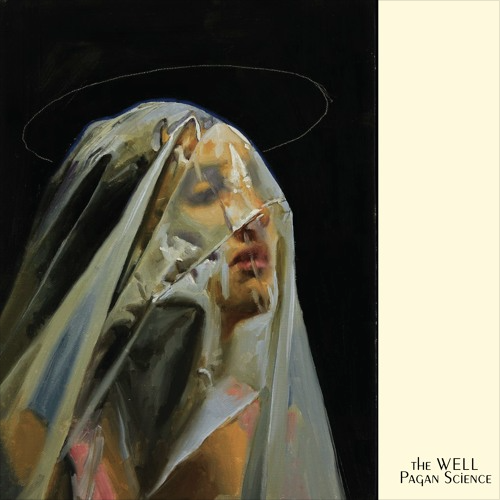 The Well are supporting their recently released, critically-praised album Pagan Science on RidingEasy Records. Consequence of Sound is streaming the entire album album HERE. The Well has been prominently featured on The Walking Dead star's Ride with Norman Reedus TV show on AMC. Not only did the band compose and record the series' original theme song, they also appeared on the show with Reedus, an avowed fan of the band and all things RidingEasy. Ghost Cult Magazine recently shared "I Felt Safe Again and Was At Home" HERE. TrebleZine hosted "Seeds of Light Descend" HERE. PlaylistPlay launched "What Hope We Have, What Hope We Haven't" HERE. And, Scene Point Blank presented "Labyrinths" HERE. Randall Holt is a member of Knest (with Thor Harris & Jonathan Horne) and Horne + Holt. 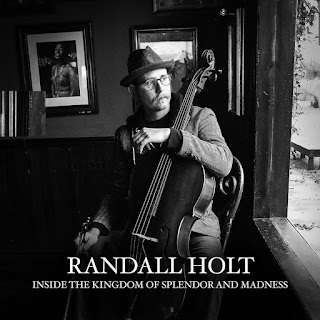 Randall has also played in Reverend Glasseye and has collaborated with a wide range of artists including Godspeed You! Black Emperor, Yann Tiersen, Eric McFadden Trio and jazz composer Adam Rudolph. Recorded with Chico Jones at Ohm Recording Facility in Austin TX, Inside The Kingdom of Splendor and Madness is an evocative & emotive cello showcase, lulling you in with "I felt safe again and was at home" into the howling strings of "Wandering: Mountain pass"; continuing the tension-and-release of an epic journey, each song a chapter from Holt's cinematic imagination, drawing to the inevitable yet joyfully prolonged ending of a fond goodbye in "Bid Farewell, Without End!" 09. Bid Farewell, Without End! Paste Magazine recently launched the lead single, "Queen" HERE. 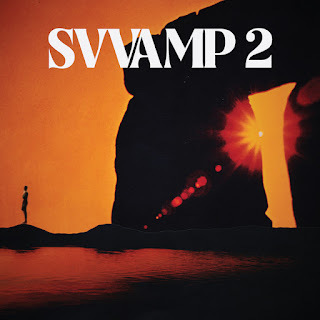 Svvamp’s self-titled debut was a breath of fresh air -- unpretentious and free, primordial homespun classic rock that landed in the Top 20 Albums of 2016 in the Doom Charts consortium of writers and radio. The most common remark being just how genuine and uncontrived it sounded, unlike most bands that posture and mimic the sounds of yesteryear. Svvamp is three friends -- Johansson, Henrik Bjorklund and Erik Stahlgren, all of whom share lead vocal duties -- drawn together for the sake of jamming and a love of rock, folk and blues. 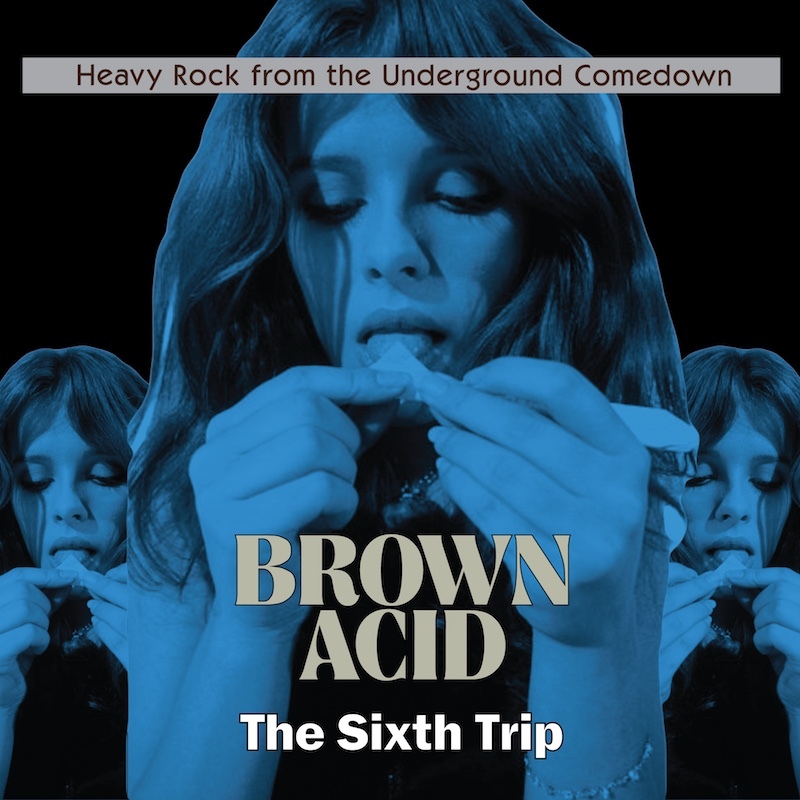 Their resulting heavy psych sound bears hints of Cream, Eric Bell-era Thin Lizzy, CCR and Crazy Horse. Svvamp 2 opens with a lightly plucked electric guitar line that Clapton would be proud to claim his own, before quickly launching into the heavy riff anthem “Queen”, echoing the bare chested bravado of Grand Funk Railroad. “Sunshine Street” is charmingly unapologetic garage pop reminiscent of Big Star. “The Wheel” is a hook-loaded bluesy rocker, while “How Sweet It Would Be” hearkens to the glazed zombie drive of Canned Heat’s “On The Road Again.” Elsewhere, “Alligator” brings on a showstopping stomp of dueling guitars, syncopated drums and wailing, distorted vocal howls to close out the proceedings with fitting aplomb. Ultimate Classic Rock recently premiered "Inferno" by Heat Exchange HERE. Paste Magazine launched the first single, "No Parking" by Gold HERE. CvltNation also shared "Luvin', Huggin' & More" by Flight HERE. 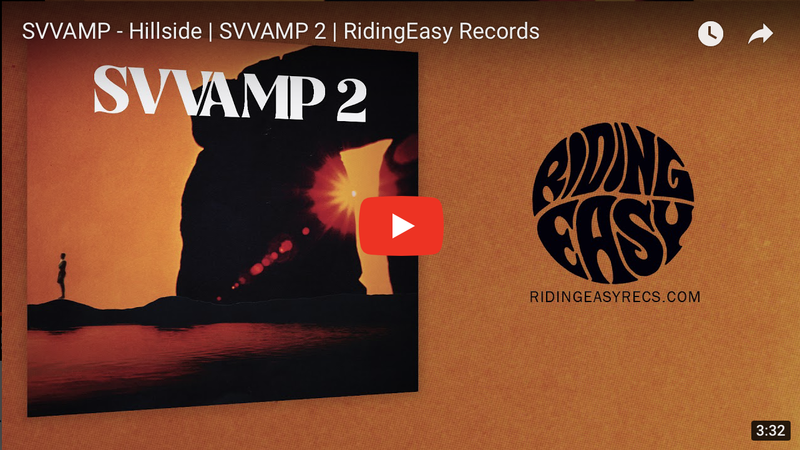 The series is curated by L.A. label RidingEasy Records and retailer/label Permanent Records.